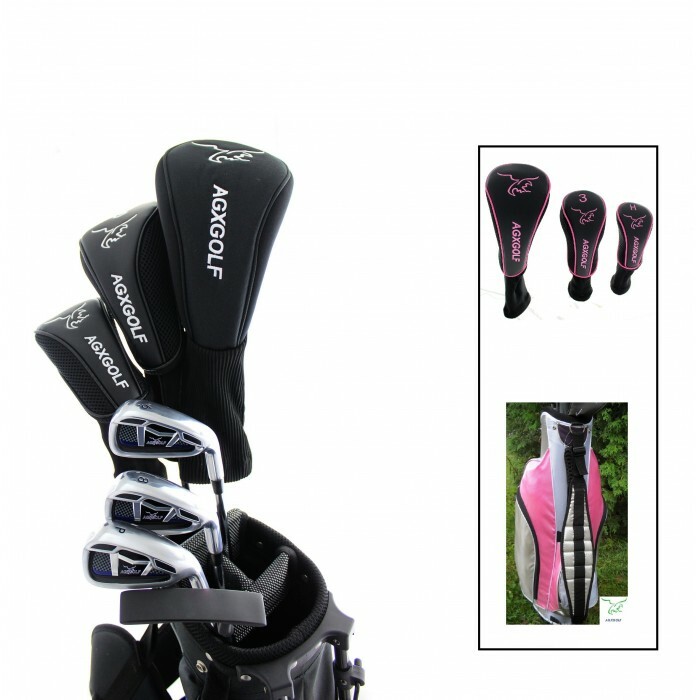 AGXGOLF "Girl's Left or Right hand Magnum "Pink Edition (just right)": girl's starter set (graphite shaft driver & 3 wood) with bag, putter and head covers for the driver and 3 wood; Callaway "Hawkeye' style irons! Bam!!! 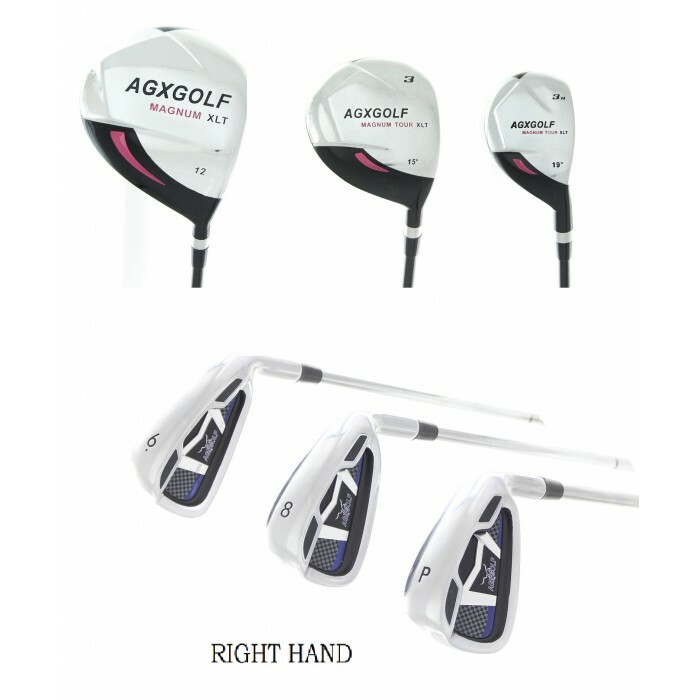 The same company that bring you the Magnum, tour eagle and Ballista golf clubs has designed the "AGXGOLF magnum girl's edition" for us..! 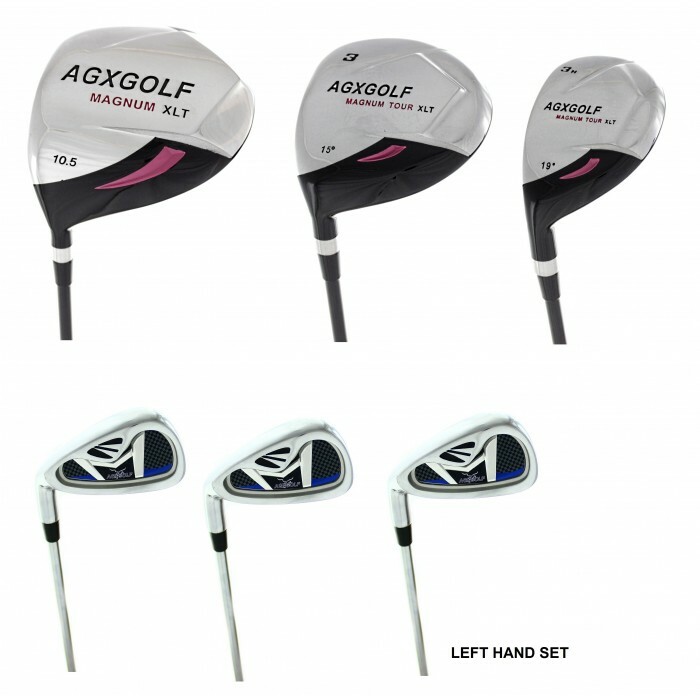 Yes this is a brand new set still in the factory box...sets include one year manufacturers warranty!! #3 hybrid utility long iron: get the distance of a wood with the accuracy of an iron! 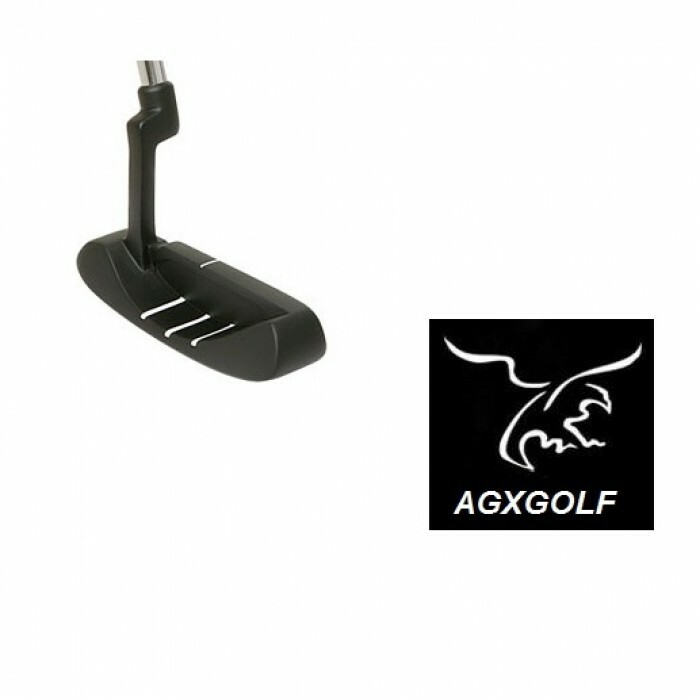 Free putter: these are an excellent design; the flange style head features a precision face with "heel-toe" weighting to help keep the putter head on line for more accurate putts. Also important to note is the contoured grip that allows for a relaxed posture. This is important because a relaxed grip and posture means more consistent putting and lower scores!! 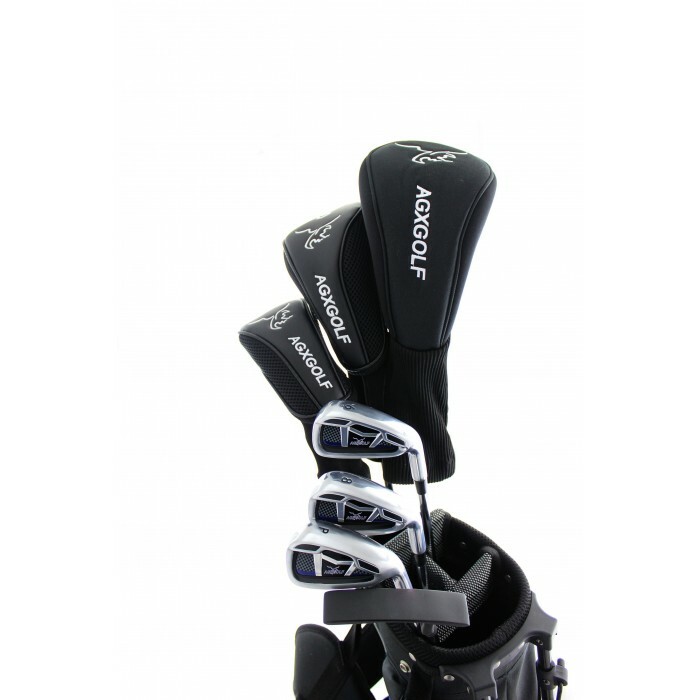 This set of golf clubs from AGXGOLF features a large over sized 460cc titanium matrix driver with a 12.0 degree loft to make it easy to get nice height on your drives. 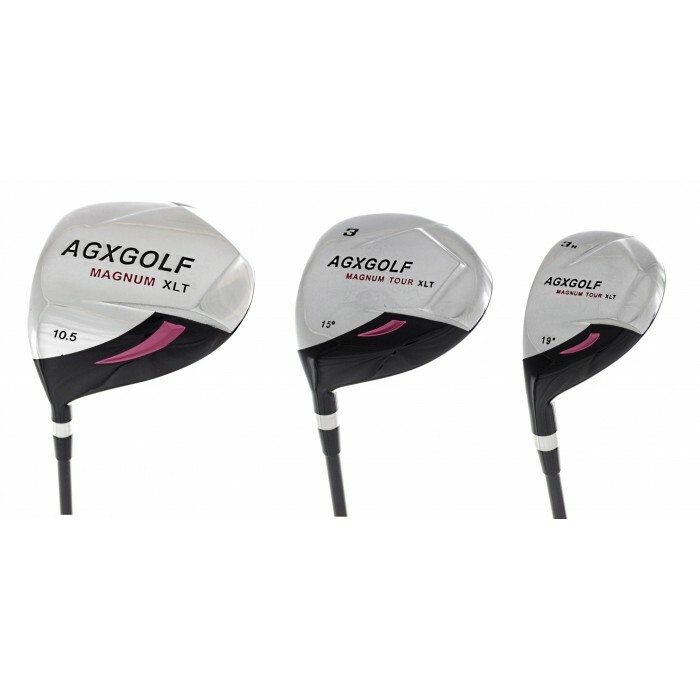 The oversize head creates a 30% larger "sweet spot" and up to an extra 30 yards on every drive! The fairway wood features the "low profile" style of design with a low center of gravity to help you get nice lofted shots even off tight fairways and also out of the rough !!! The girl's magnum special edition irons are dual perimeter and sole weighted Cavity back and "over sized." These irons are "inspired" by the Callaway tour style of design to help square the club up at impact for straighter more accurate shots and more "forgiveness" on those miss-hit shots! P.s. The graphite shaft driver has really given my tee shots the extra length that i needed. 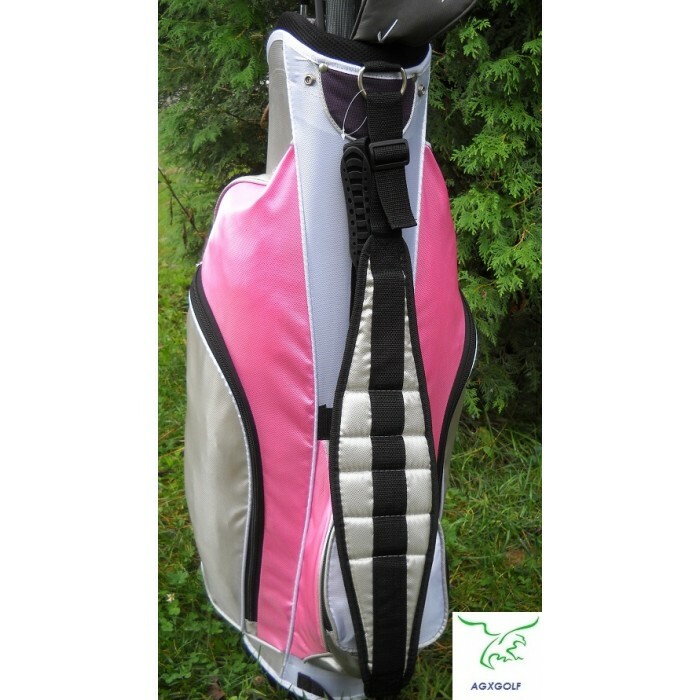 Designed and inspired by the latest technology the "AGXGOLF magnum girl's edition" is a great set for the intermediate golfer as well as beginners. The oversize clubs are great confidence builders by providing excellent forgiveness on miss-hit shots. This listing is for a girl's set! Not sure of your size?